School districts are saving millions of sheets of paper and thousands of trees by distributing school flyers electronically through Peachjar. Peachjar has eliminated the need to print over 190 million sheets of paper, saving nearly 23,000 trees. Thousands of schools across North America are saving trees with Peachjar’s innovative eflyer delivery system that eliminates the need to copy and distribute paper flyers. In celebration of Earth Day, Peachjar announced that since its inception in 2011, the company has eliminated the need to print over 190 million sheets of paper, saving nearly 23,000 trees. To celebrate Earth Day 2015, Peachjar presented five school districts with its Green Campus Award for exemplary tree-savings. 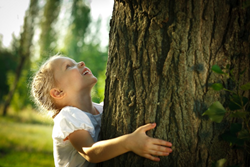 The award winners, Davis School District (Davis, UT), Cupertino Union School District (Cupertino, CA), Chesapeake Public Schools (Chesapeake, VA), Guilford County Schools (Greensboro, NC), and Chula Vista Elementary School District (Chula Vista, CA) combined to save 5,335 trees. Peachjar was founded in 2011 in response to the billions of paper flyers being carried home from schools each year in children’s backpacks. The company has helped schools across the nation improve their school-to-home communication by delivering eflyers directly to parents. Check out Peachjar’s one-minute animatic to learn more.